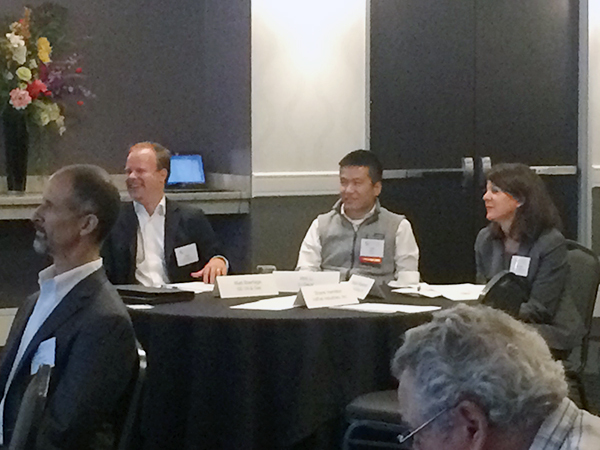 In June, the PESA Emerging Leaders Committee continued its third annual Executive Leadership Program with mid-year seminars. The program features two tracks, Engaging Leadership and Executive Presence, both geared towards professional development through one-on-one executive coaching sessions, mentorship, networking and training seminars. Connecting participants from both tracks of the program with the Emerging Leaders Committee, PESA also hosted a reception during the mid-year seminars. This networking opportunity created an informal setting to discuss leadership skills and key program takeaways. In addition to the seminars, participants must partake in leadership development outside their company and attend two PESA leadership meetings such as the bimonthly leadership forums. 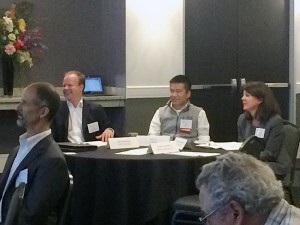 One of the most important elements of the program is the mentorship provided by the PESA Board and Advisory Board Members, giving participants a unique opportunity to gain strategic career advice and develop valuable relationships with industry leaders. With more than 75 program graduates to date, PESA continues to elevate the industry by investing in the next generation of industry leaders. Participants from 20 member companies explored leadership skills with a focus on identifying personal leadership styles and applying a vision to achieve goals. The seminars are led by Pat Lipovski, Executive Coach, Envision Group, and his team, who also provide one-on-one executive coaching during the course of the program. The Engaging Leadership Program midyear seminar demonstrated the difference between being a boss and a leader while encouraging attendees to build their own leadership models. By promoting positive communication and establishing commonalities, employers build the trusting and mutually beneficial relationships that are key to success. Strong leaders create action by empowering others to solve their own problems. 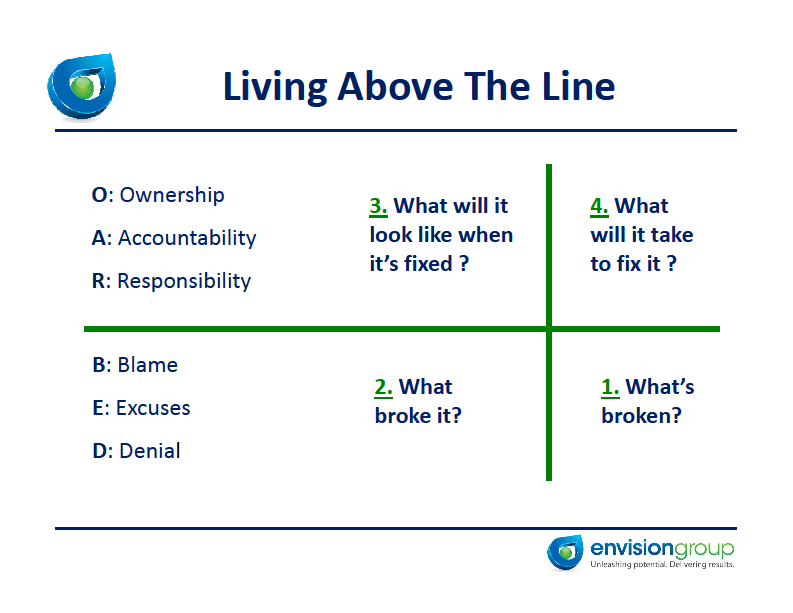 Lipovski challenged participants to “live above the line,” by taking ownership, accountability and responsibility instead of blame, excuses and denial. Incorporating accountability into one’s daily routine demonstrates servant leadership and fosters engagement. Increased engagement promotes relatability which sets the stage to provide necessary feedback to employees. The Executive Presence Program encouraged participants to develop a strong, authentic personal brand while creating awareness of the positive character traits that strong leaders encompass. People develop opinions of others based on first impressions, which are typically established within seven seconds but leave a lasting impact. Managing that initial perception is crucial to expanding one’s personal sphere of influence and leveraging it for success. “Corporations invest in protecting, developing and promoting their brands. You should invest the same energy in your personal brand,” Lipovski said. Strong brands are clear, consistent and concise. Possessing transparency and adaptability, leaders utilize self-management to take initiative, practice self-control and exude optimism in all they do. Through active social awareness, leaders learn to anticipate, recognize and meet customers’ or employer’s needs. Understanding how to manage personal perceptions and empathize with others creates a sense of control and increases confidence. Applying that confidence to a clearly defined objective is the first step in achieving success. In addition to a vision of short-term and long-term goals, leaders must surround themselves with inspirational people who push them towards their desired outcome. Developing a personal vision, mission and board of directors strengthens one’s personal brand and provides accountability to one’s core values.